Up your game at your next game night with these official Pokémon Trading Card Game playmats showcasing the Ultra Ball design in vibrant, full-color printed artwork. Made with a premium fabric top to prevent damage to cards during game play for tabletop gamers. With dimensions of approximately 24" X 13-1/2", this playmat is also the perfect decorative over sized mouse pad for computer and laptop workstations. 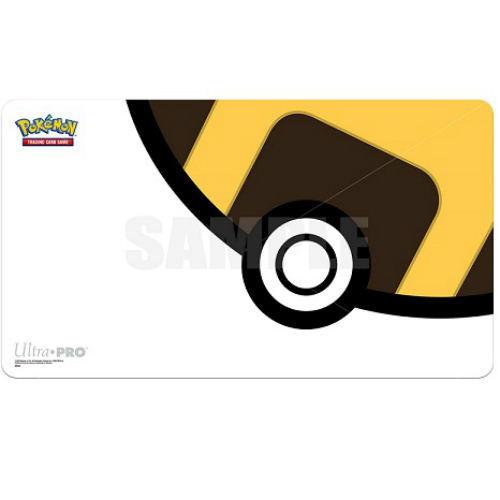 Non-slip rubber backing lets the playmat lay flat and prevents it from shifting during use. Our Price $29.99 Another currency?